During the American Revolution, the Eastern Shore was filled with both Patriots and Loyalists. Both sides attacked the other using privateers—pirates to their enemies. These enterprising locals plundered and pillaged, and motivated by profit, some even fought for both sides. 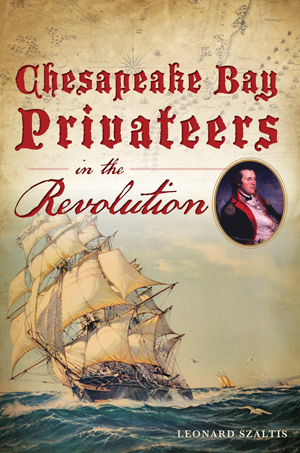 The Chesapeake Bay was the site of one of the last and bloodiest naval battles of the Revolution, and privateers were instrumental in the eventual American victory in the war. Author Leonard Szaltis uses local records to bring these legendary Eastern Shoremen and their exploits to life. Leonard Szaltis attended St. Ambrose University in Davenport, Iowa, where he studied history and earned a BA and a BME. He later studied business and earned an MBA from St. Ambrose University. He continued his graduate coursework at Boston University and earned an MM in education. The author has taught history and business in public schools in Iowa and Illinois. He is also an active member of the Sons of the American Revolution.